After arriving from Ireland in 1795, the Miller family farmed their land in southwestern Pennsylvania for generations. But no one knew they’d settled on ground that would rock the modern scientific world — until Albert Miller took a walk in 1955 and noticed a fresh groundhog hole. Miller (born 1911) was a successful farmer, but he was also a pilot, photographer, amateur historian and archivist, archeology enthusiast, and lifelong conservationist. Back in the 1950s, he couldn’t have known that a burrowing rodent had broken ground on what is today the Meadowcroft Rockshelter and Historic Village. But even as a youngster roaming the property (about an hour’s drive southwest of Pittsburgh in Avella, PA), Miller believed he walked in the footsteps of people who had been there a long time. According to Meadowcroft director David Scofield, when Miller noticed that groundhog hole, something made him fetch a shovel. As he excavated a hole 30 inches deep, he found burnt bone and flint flakes, pottery fragments and mussel shells. And then, an intact flint knife. 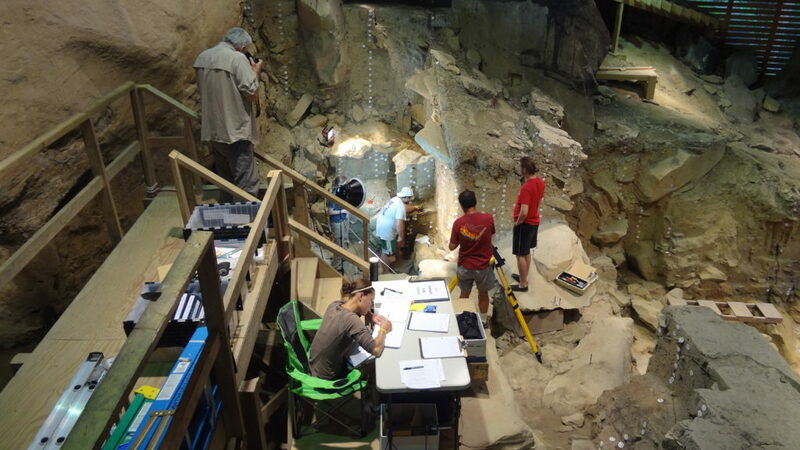 Miller had discovered the first artifacts that would definitively challenge decades of archeological and anthropological doctrine: Pennsylvania, and not New Mexico, is home to the oldest known evidence of human habitation in North America. 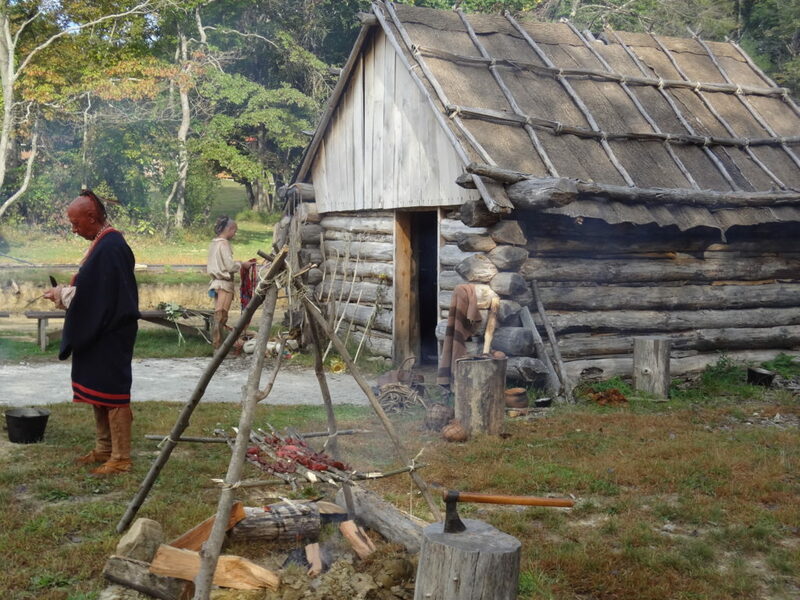 People have been living in the Ohio Valley for at least 16,000 years. The intelligence that fueled the farmer’s curiosity also warned him to keep the site secret from the public until he could find the right scientists. “He knew that he was right, and he was wise enough to know to be quiet about it,” says Scofield. A true survey of the site wouldn’t begin for 18 years, when a team from the University of Pittsburgh, under archeologist Dr. James Adovasio, arrived in spring of 1973 for a well-funded, state-of-the-art excavation that would last six years. Miller (who died in 1999) would live to see his discovery get international acclaim. Adovasio, a scientist renowned for his expertise in excavation, says that while they knew the site was old and would be good practice for students, his team didn’t suspect that a rocky overhang among the trees, above a narrow creek bend, had actually been sheltering people for 16,000 years. Still, when the first radiocarbon dates on Meadowcroft artifacts came back from the Smithsonian lab, they couldn’t believe it. There are also 20,000 artifacts and counting (defined as objects worked by human hands), including stone flakes from tool-making, the tools themselves, pottery fragments, antlers shaped for specific uses, and even fragments of basketry. Need some perspective? William Penn arrived in America 336 years ago, and printed books have been around for about the last 560 years. Julius Caesar was assassinated almost 2,000 years ago, and the Great Wall of China was finished about 700 years before that. The Mayans probably started farming about 3,500 years ago, and the Great Pyramid of Giza is only about 4,000 years old. But nearby Pennsylvanians didn’t know what was in their own backyard. And when excavations started in earnest, the local reaction was mixed. Until the early 1970s, the same landscape feature that drew prehistoric bands of people appealed to folks looking for a place to drink beer, lounge on a summer afternoon, or fish. When the archeologists arrived, “the initial reaction was, ‘You’ve taken away our party spot,'” explains Adovasio. But slowly the neighborhood realized what they had. By the 1990s, as studies continued, the site became a household name and source of pride for locals. It was a source of controversy, too. “No one had anticipated that this site would be older than Clovis,” says Scofield. He’s talking about the famous Clovis, New Mexico, archeological site where artifacts dating to about 13,500 years ago were discovered in the 1930s, solidifying scientific opinion about the oldest known human settlements in North America and a theory of how people arrived here (over a land bridge in the Bering Strait) and migrated south. “Clovis points,” the distinctive spear-like stone tools these people left behind, were named for a nearby city, but today, “there’s more Clovis points found in the eastern U.S. than out west,” Scofield points out, complicating the old narrative of early human movement. According to Adovasio, most archeologists hated to surrender that theory — it turns out that they (like most people) “will argue about damn near everything.” Also complicating things: Hundreds of sites similar to Avella’s had been claimed as older than Clovis in a flurry of press, and then eventually debunked. Despite all the evidence, deep skepticism about Meadowcroft remained for decades, until a number of similar discoveries from Texas to Oregon appeared. 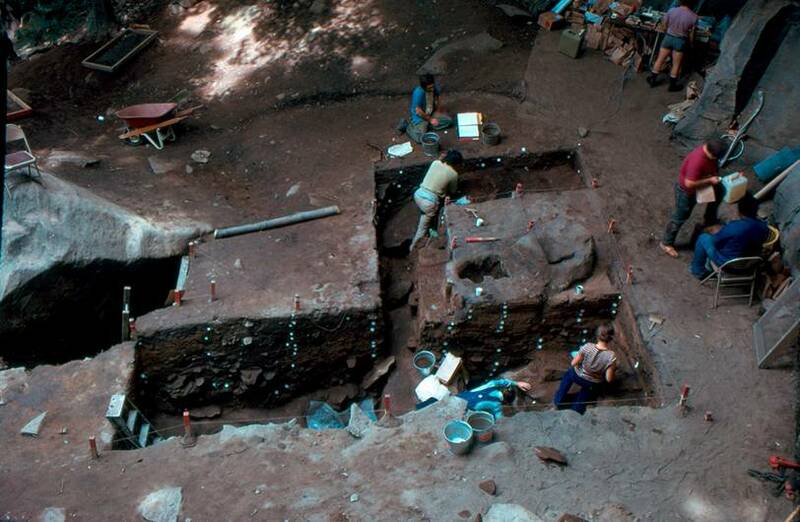 But why did the Avella site preserve so many artifacts? “We conducted a massive multi-year study of the general area and found no equal sites,” says Adovasio. He calls it “a geologic fluke” created by a stream flowing there north to south tens of millions of years ago. This created a natural basin of extra sediment which swallowed and protected a unique record of the environment and artifacts. “We’d like to think we can go out and find places like this,” the archeologist says, but that’s almost never how it happens. People like ranchers or farmers, not scientists, are usually the ones to recognize and report sites like Meadowcroft. And he doesn’t want the public to think that this discovery is important merely because of its documented age. One takeaway? Our species has been coping with radical climate shifts for millennia, including the need to relocate, or develop new technology. Even though our growing modern environmental crisis is almost universally accepted by scientists as man-made, that doesn’t change the fact that we evolved to adapt to major climatic shifts. If we tackle global warming now and undertake a new lifestyle, we’ll be doing what we’ve always done as a species. Archeological sites this like give precious insight into the day-to-day life of men and women, including children and elders. For example, with this more specialized knowledge, we can now creditably challenge an older theory that early human hunters quickly exterminated giant animal species. 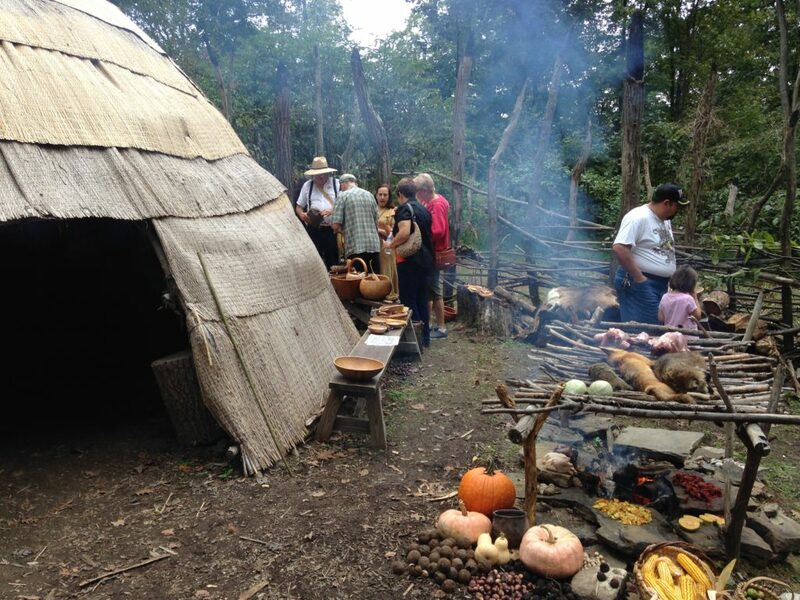 Today, you can visit the nonprofit Meadowcroft Rockshelter Museum (under the umbrella of the Senator John Heinz History Center) during its season from May through October (visit online for dates and times). The original rock formation now sits under a beautiful building equipped for educational tours; Adovasio still leads four special lectures annually. And Albert Miller’s interests didn’t end with his prehistoric discovery: From ancient hunter-gatherers to 16th-century Monongahela Indian villages, the 18th-century trading frontier, a 19th-century village and an early 20th-century coal mine (land eventually reclaimed by Miller himself and replanted with 250,000 trees in the 1960s), the land has endless stories to tell. 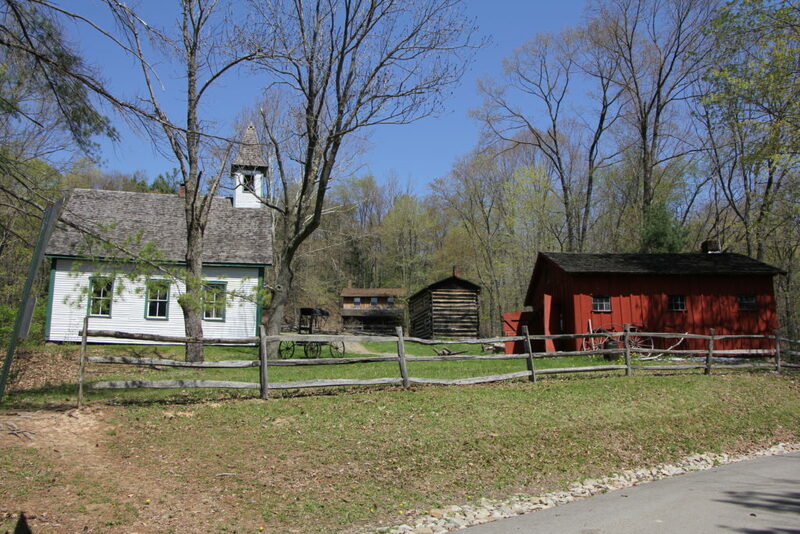 Miller dedicated his life to collecting buildings and artifacts (including an original one-room schoolhouse and a covered bridge) and bringing them to Meadowcroft, which boasts a range of interactive attractions spanning 500 years at its adjacent Historic Village. The site gets about 18,000 visitors a year. In 2017, that meant travelers from 47 states and 19 countries. 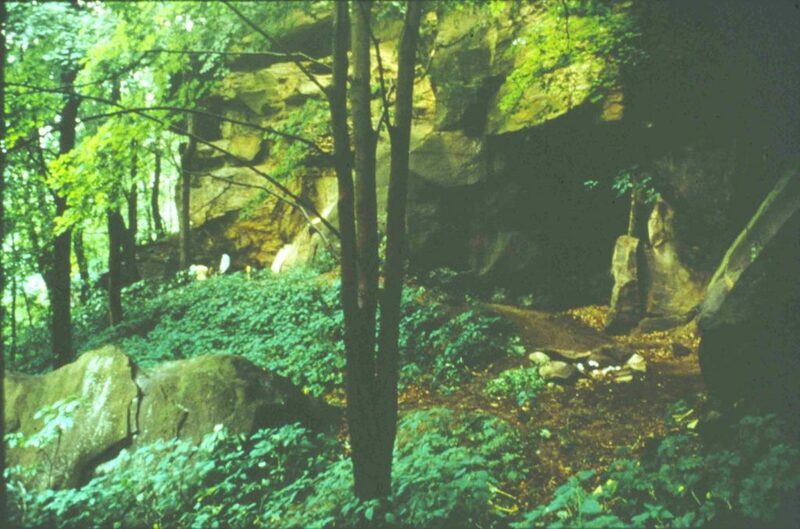 “Every year, we get visitors from Europe who heard about the Meadowcroft Rockshelter and wanted to see it while they were here,” says Scofield. The site became a National Historic Landmark in 2005. And in 1976, 21 years after Miller discovered that flint knife, a 12,000-year-old stone spear tip was named the “Miller point” in his honor. For Adovasio, the site represents an amazing confluence of luck, skill, passion, and the chance to look to the past in order to understand our future. ALAINA JOHNS is a Philadelphia-based freelance writer and the associate editor of BroadStreetReview.com, Philly’s hub for arts, culture and commentary. You can visit her at her blog, where fiction need not apply.